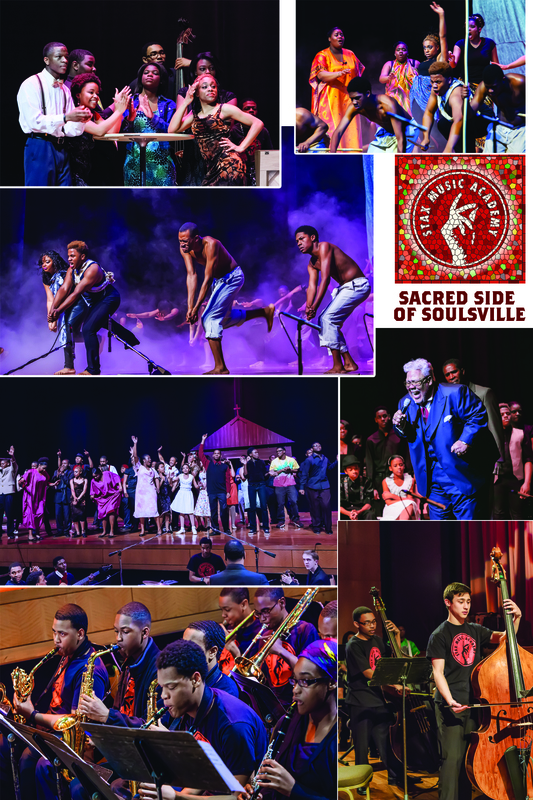 This year, for their 2nd Annual Black History Month Celebration, the Stax Music Academy put on a broadway-style musical production title The Sacred Side of Soulsville. The show featured 109 Stax Music Academy Students, and former Stax Recording artists the Rance Allen Group and Deborah Manning. In this year’s show, the students led the audience on a journey to find where Soul truly comes from, and stir the melting pot of the Gospel tradition and Juke-Joint Blues that was so influential to the Memphis Sound. The show took place on Tuesday, February 5th at the Cannon Center for the Performing Arts. Between the two shows 2,400 people attended. Additionally, the show was written and directed by Justin Merrick, Stax Music Academy’s Operations Manager and Vocal/Choreography Director.